Jamming out to Purple Rain on my Sony Walkman and sneaking my older brothers cassettes so he didn’t notice — THAT was a perfect afternoon when I was a kid. I’ll never forget how absolutely fascinating Prince was to me. And he still holds a bit of that childhood fascination even now. So when I heard he had passed away at such an early age, I was absolutely shocked. Although I already knew a lot about Prince, I was surprised when I started reading articles that there was a lot I didn’t know. And I found out there is a lot he can teach us about business and life. Here are five insights that I gleaned from Prince and how to apply them to your business — and life. Prince, especially in his early years, kept a journal. According to Essence Online, Prince walked around with a notebook of ideas before making it big. “He’d always come up with little scenarios on a plane or on buses,” his band members reported. And this is based on hard science. Studies have shown that we seem biologically wired to remember better, achieve more and be more successful when we write down our intentions on paper. So go get yourself a cool notebook and start writing down your goals, your ideas and your vision. On real paper! You’re more likely to reach your goals and more likely to remember your ideas. 2. Don’t live on past success. I think this idea holds a great deal of importance, especially for entrepreneurs. It’s really easy to work really, really hard, and then when success finally comes to just coast along. I’ve done it and nearly everyone I know has. But that’s not what makes us successful; nor does is fulfill us as entrepreneurs. What makes us successful is finding the new project — and having tons of fun in the process. 3. Introverts can be wildly successful. But that didn’t stop him from being one of the top musicians that we’ve seen in our lifetimes. There is a myth in our culture that introverts have to sit behind desks and never interact with anyone. But, as Prince shows, that just isn’t true. This article by PsychCentral outlines the benefits of being an introvert and some simple ways to take advantage of your natural personality to be as successful as you want to be. Many, many successful leaders and entrepreneurs are introverts — just like Prince. 4. Work ethic + natural talent = success. 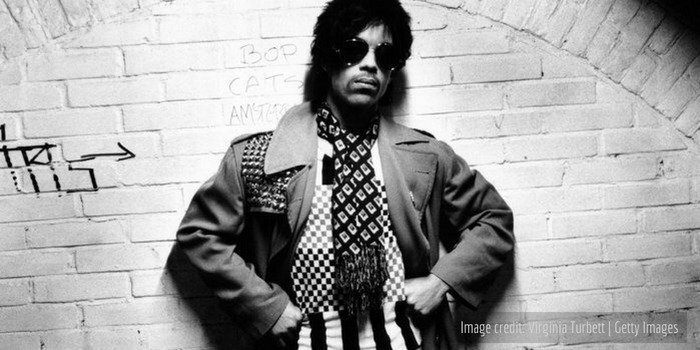 Prince was a prolific and highly successful music producer and still has tons of work that hasn’t been released. And he got those results, because he had a tremendous work ethic that he combined with his natural talent. Now, I know what you may be thinking… “But, I have no natural talent in music or other arts.” But that is not what it requires. I have an entrepreneur friend who loves, more than anything else, making the register go “ching!” She doesn’t care what she sells — except that it is high-quality. She just likes figuring out the market / message match and making the sales roll into her internet stores. So she has combined that love, which she first discovered at McDonald’s at the age of 14, with persistence and work ethic. And because of that, she is well on her way to building an online empire. The same formula of work ethic and talent will work for you. 5. Give to make the world a better place. “His cause was empowering and uplifting people. That didn’t stop when he walked off the stage or out of the studio. It was a current of genius trying to move the human heart. Honestly, this story gives me goose bumps. Because when we see the world in this way, we can’t help but reach out and try to make things better for everyone. Making a difference is, in my opinion, part of the responsibility of the entrepreneur. Whether that is running a responsible company and taking care of your employees or doing philanthropic work, you really can’t go wrong. Prince was a genius musician, and we can learn a lot from his example. May he rest in peace… underneath the purple rain. Copyright 2018 by Entrepreneur Media, Inc. All rights reserved.